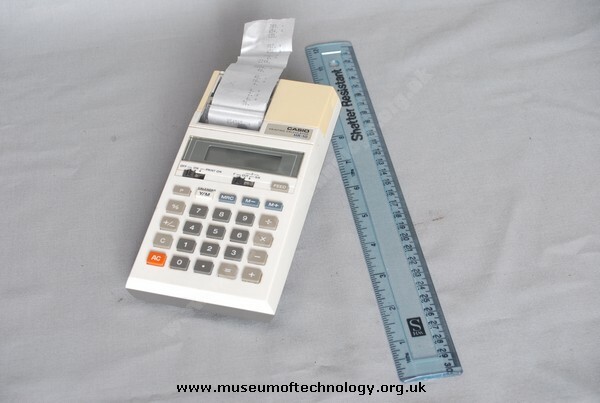 I still have a complete kit of this product; the calculator/printer, it's box, instruction manual booklet, guarantee, two boxes of unused thermal paper rolls and the AC adaptor/charger. About every five years I recharge and test it and it still works. Curiously known here as the Casio Card Printer! This was because it was marketed to the perceived consumer desire for devices to be "credit card" size. I still have this Model HR- 10. I really like it and it works fine.